Hi! I’m the irrigation supervisor at ELAIA’s. 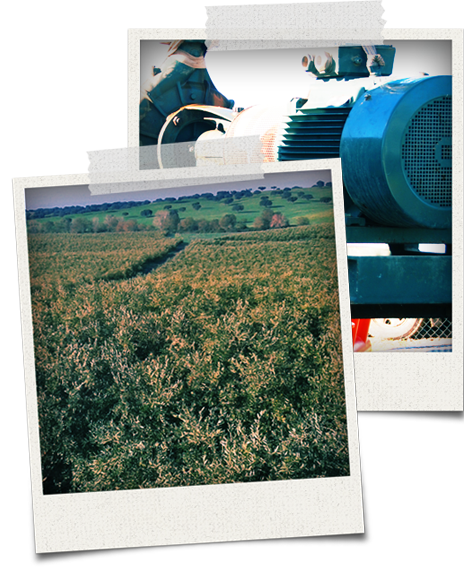 Here in ELAIA we drip our super intensive olive trees fields with constant flow and pressure. Irrigating this way is very expensive thus we’re trying to find out how to make it cheaper. We’ve thought in using solar energy but in summer we need to irrigate about 14 hours / day and we know the power-intermittence issues that solar energy has . Therefore, we continue using our diesel pumps as we believe we don’t have any alternatives. Hi Guilherme, your doubts about solar energy are very reasonable and commonly shared among irrigation professionals. If you are not providing enough power to keep pressure and flow constant, you won’t be able to irrigate uniformly which could harm your crops. Hence, we have developed a new system that fulfill your needs and its compatible with your irrigation setup at the same time. This system consists in the hybridization of your diesel pumps with a photovoltaic (PV) system. This requires a complex communication between the PV system your diesel pumps and the irrigation automatisms that you are currently using. And… is that system ready? is it on the market? Don’t forget that our farmlands require high power pump systems. Yes, the system is ready! We’re now trying to find the best location for a hybrid diesel-PV of 140 kWp. I can offer you a good location. Its an 200ha. super-intensive olive tree farmland owned by ELAIA. Its located in Alter do Chao, Portugal. Here you have some pictures of the farm (link). Moreover, ELAIA its very innovative being a great representative of the agroindustries, which in my opinion is the sector more interested in PV irrigation. Umm.. Interesting.. please tell me the specifications of your location. Ok… and.. which pumping system are you using now? We are using a diesel generator that provides power to two CAPRARI pumps of 45 kW each. The system also uses an irrigation automatism A4000 made by PROGRÉS. The pumps are controlled by a soft starter and a frecuency converter that keeps constant pressure on the system. A 140 kWp PV generator manufactured by MARTIFER installed over a North-South axis follower. The 150 kVA diesel generator that you already have. Three 45 kW CAPRARI motorpumps. (The two you already have plus a new one). Two OMRON RX-55 kW – 3G3RX A4550-E1F frequency variators that will be added to the variator and the starter that you already have. Everything will be integrated using the Agronic 4000 that you already have. Sound good to me, but a bit complex.. aren’t we using a huge amoun’t of different equipments? “Photovoltaic Only Mode”: This mode will be working most of the day. Two CAPRARI pumps powered by the photovoltaic pump. “Photovoltaic-Diesel Mode”: This mode will be working at sunrise, sunset and when passing clouds. One of the pumps will be powered with the photovoltaic power available and the other will be powered with the diesel generator until pumping preassure is reached. “Only Diesel Mode”: Two CAPRARI pumps will be powered with diesel generators. This mode will be only used in the 3 hours when we can’t pump using the PV system and also in very cloudy days.